Thorgan Hazard set Gladbach on the road to a convincing victory over Bremen. 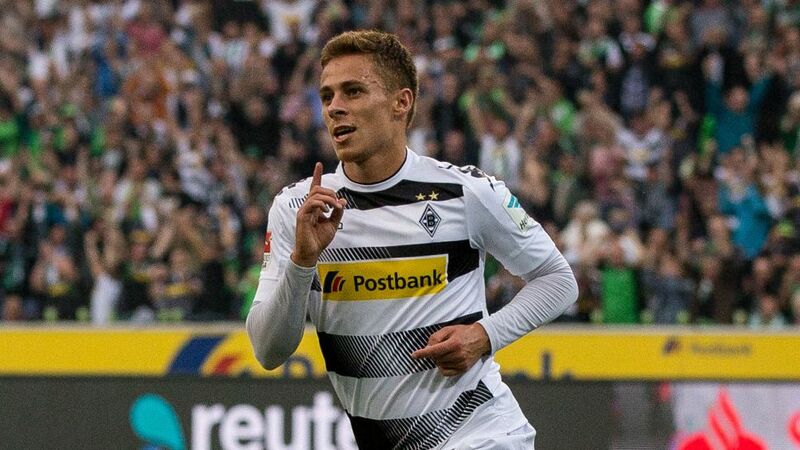 Thorgan Hazard provided the perfect remedy for Borussia Mönchengladbach's European hangover by delighting fans with an energetic showing and two goals in his team's 4-1 win against SV Werder Bremen. The classy Belgian attacker smashed home from outside the box after just eleven minutes and slotted in his second shortly after. Considering Hazard for your Official Fantasy Bundesliga side? Sign him up here! Having now netted six goals in all competitions for Gladbach this season, the 23-year-old is proving a star turn at BORUSSIA-PARK. Can he add to his reputation by being named Matchday 3 MVP? You decide! Vote Hazard for #BLMVP on our twitter channel now! The former Belgium Under-21 international struck six of seven shots on target against Werder. Hazard tormented the Werder defence with 32 sprints during the game and was registered as the fastest player on the pitch. The 23-year-old was denied a hat-trick after striking a post in the second half. Hazard has now registered eight goals in 60 Bundesliga appearances for the Foals since 2014. Two goals and a win helped Hazard collect 18 Official Fantasy Bundesliga points.